International meeting on “Integrated actions against Xylella Fastidiosa to protect olive trees and international trade"
Institutional representatives from Albania, Algeria, Egypt, France, Greece, Iran, Italy, Jordan, Lebanon, Libya, Montenegro, Morocco, Palestine, Portugal, Spain, Tunisia and Turkey are expected to join the international meeting Integrated actions against XF to protect olive trees and international trade that will be held at CIHEAM Bari from 12 to 14 December. 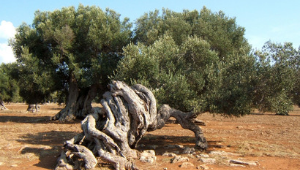 The international meeting organized by IOC (International Olive Council) and CIHEAM will be attended, among others, by experts from FAO, IPPC (International Plant Protection Convention), EPPO (European Plant Protection Organization), EFSA (European Food Safety Authority) EU, researchers from CNR and the University. The meeting will be open to representatives of institutions and the production world, who play a strategic role in the sector across more than 40 olive-growing countries. It will help to create the basis for coordinating and planning collaborations, practical actions and promoting the exchange of human resources between the participating countries.